The driver of an e-taxi vehicle, initially believed to be associated with Uber, is being investigated by police after two women were knocked over as the driver seemingly attempted to avoid being robbed, EWN reported. The incident reportedly took place in Langa in the early hours of Monday morning. Police reportedly said the driver was approached by three men he believed were trying to rob him. While trying to make a getaway, he ran into two women, killing one and injuring the other. The driver reportedly fled the scene on foot and his car was taken into evidence. According to Western Cape police spokesperson Captain FC van Wyk, the injured woman was taken to hospital. Uber has reportedly said the vehicle is not registered on its system, EWN reported. On March 13, a taxi driver was stabbed to death in his vehicle in Brooklyn, Cape Town, News24 reported. "The unknown taxi driver was stabbed to death inside his vehicle during an apparent argument with two male suspects who are yet to be arrested," said police spokesperson Lieutenant Colonel André Traut. 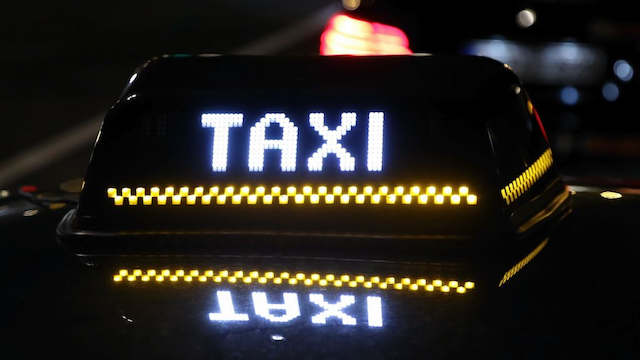 Earlier this month, two suspects, whom police say are linked to various robberies of Uber and Taxify drivers, were arrested in the Western Cape, Times Live reported. The attacks reportedly occurred in the SAPS's Langa precinct. Last year, News24 reported that Uber would be launching a safety feature that will improve the safety of drivers and passengers. It announced that it was partnering with Aura, a security technology service that would allow Uber drivers to be connected to the closest private security response vehicle through a nationwide network of security and medical response partners. In 2017, Uber driver Lindelani Mashau's vehicle was allegedly petrol-bombed while he sat in it near Loftus Versfeld Stadium in Pretoria following a Springbok match on June 10 that year. He died in hospital that following Monday, City Press reported.